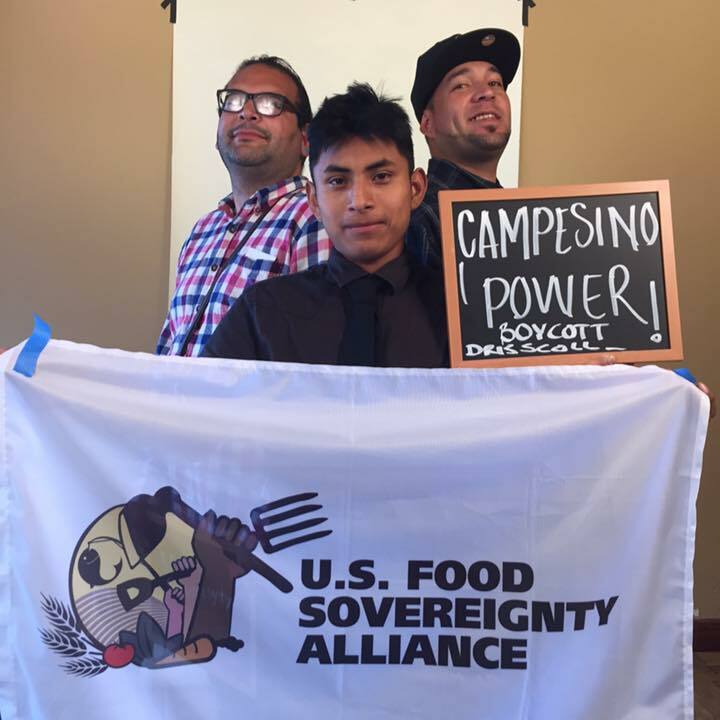 We at Community to Community (C2C) have been in solidarity with the Boycott Driscoll’s campaign led by Familias Unidas por la Justicia (FUJ) since 2013. We believe that movements are most successful when led by the most affected. It’s not often, if at all, we see a union that is led by indigenous people, FUJ union members are Mixteco and Triqui people and they are dramatically shifting the ways in which we think about farm worker organizing. We have learned from Cesar Chavez and the California farm workers’ strategies on winning contracts using the boycott and in WA State we are continuing that legacy. FUJ is making history not only in taking on a corporate giant but in the ways they have been able to educate people on the complexities of the food system. Through the boycott of Driscoll’s we are now able to see the dramatic shift that agriculture has been going through. Driscoll’s is an example of why we need a new food system. Apart from the tremendous amount of labor exploitation the fight against Driscoll’s is also about climate and environmental justice. We can’t call corporate businesses farms or say that they are practicing agriculture. Our campesino way of food production and feeding our people is at odds with the profit/commodity market. Through the industrial agriculture model we see an intensifying use of pesticides and fertilizers, most of which are petroleum based and contribute to ozone depletion. The water that is extracted is drying up our rivers and reservoirs. For example, California is currently going through a historic water shortage mostly due to the amount of water that is used in industrial agriculture. So when farm workers are calling for a boycott of Driscoll’s berries, it is a much deeper call to action. It is a challenge to all of us to fight for a better way of living and build the food system and economy that we need to thrive in harmony with Mother Earth. We at C2C are working to create a local solidarity economy where profit is not the motive, but living well is the driving factor of our labor. We want food sovereignty for all communities, where communities can decide how to feed their people in an equitable, participatory manner. We want agroecology as the way to build the new food system and to end the corporate industrial model of food production. By doing this we can raise the political consciousness of our people and build solidarity across movements.